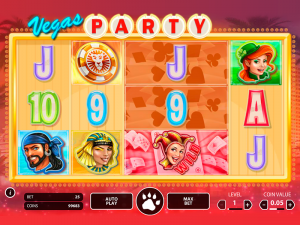 Unlike a lot of other gambling games bingo seems to be easy to play and so clear for everyone. It doesn’t need you to be genius in mathematics and you don’t have to invent your own gaming strategy. Bingo is the game that doesn’t depend on you. Really, you can do nothing, but pray and hope for the better and for winning the prize. Bingo games are popular all over the world for many years already. Of course, there are some differences between different types of bingo in different countries, but the core remains the same. This is the kind of lottery – you are to mark all the fields (numbers) on your bingo card the sooner the better. And yeah, after it is done ‘Bingo!’ can be shouted out loudly. It is believed that it was American toys salesman named Edwin Low who gave the game this strange name. Why exactly this word was used? They say that one day in 1929 Mr. Low was watching the game in Georgia. The players covered the numbers with the help of beans and one of the players was so excited with his victory that he shouted ‘beano!’ (‘beans’). Low liked the sound of the word and made it the name of the game. Resourceful Low decided to make Beano carnival game and earned a lot selling the cards during carnivals. He was the first one who decided to produce bingo cards in quantity. It is clear that as bingo is that popular, it becomes various. In different countries bingo gets different special aspects. The game also differs for people of different ages, so it can be played by children aged 3-5 as well as by adults. Let’s take a closer look at different bingo games. UK Bingo or as it is also originally called Housie is still a very popular game. Every player has bingo-card with 15 numbers. There are 5 numbers in each of 3 lines. There also are 9 columns, so 4 meshes remain empty. The caller starts with saying ‘eyes down!’ and begins calling letter-number combination at random without choosing and looking. Numbers from 1 to 90 take part in UK Bingo. US Bingo card includes 5 lines and 5 columns, so there are 25 numbers in it and numbers from 1 to 75 are used. Letter-number combinations are called the same way as in UK bingo, there are no real differences. A lot of bingo lotteries in US are organized by churches or other philanthropy organizations. Though there are so many commercial bingo-lotteries either, like red stag review etc. Bingo for children. Yes, the kind of gambling game can become brain building game for children. The principle of the game remains the same, but in the cards can be shown numbers, geometric figures, animals or other pictures. Bingo for kids can be fun and learning pastime. It means that numbers from 1 to 75 participate in game. The cards are of a square form and are divided into 25 meshes. One mesh in the center is always empty. It is perceived to be closed. The principle of the game is the same. 75 balls bingo is popular in US. The main difference is that the used numbers are from 1 to 90. Every player gets the cards that include 3 rows of 9 meshes in each one. In first column there are numbers from 1 to 10, in second – from 11 to 20 etc. The rest remains unchanged. As soon as Internet became one of the most important sides of human’s life, a lot of living aspects are connected with it. People like to play different games in online casinos or other amusing sites – it is easy, comfortable, fun and exciting. And bingo game isn’t the exception. Playing bingo online you are always sure you will find the partner for game. 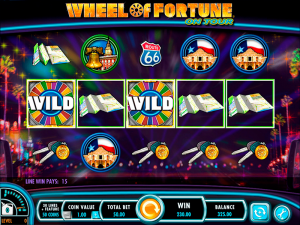 Any game portal, for example casino 888 canada or winorama, tried to become the best for their players, some give special bonuses for newcomers, others improve graphics and interface. Visiting online casino to play bingo you can stay in your beloved and comfortable armchair, drink tea or some other drinks. You will feel comfortable and that is the most important! The history of gambling games lasts a lot of centuries. No one can say for sure when it was started. Bingo game that is so popular nowadays is the kind of lottery that was very popular in Italy in XVI century and was called Lo Giuoco del Lotto d’Italia. Even today lots of Italians use to play it every Saturday, but not it is called Italian National Lottery and it deposits about 75 million dollars to Italian budget. But this kind of game but with different names was popular not only in Europe. In 1838 English archeologist named John Stevens travelled around Mexico and described the game that was played by local men – they used cards with different numbers written on them, balls with numbers announced by caller and they used bread grains in order to cover the numbers in cards. Edwin Low was already mentioned above as the author of the game’s name. Actually, he made the game look the way we like it, boost and popularized it. He was the first who noticed how addicted the players are, he was also the first who earned on selling the cards. It seems there is nothing special to talk about playing bingo, but let’s see everything in details. Every player needs the scorecard. As it was already written, the cads are divided into meshes with randomly numbers in them. In 75 balls game, the word ‘BINGO’ is written above every card. Balls are also marked with number-letter combinations. Be sure everyone understands how to play. Of course, it means if you play somewhere in reality with kids or friends. Explain everyone how letter-number combination works and what is necessary to be covered. When you are in online casino you don’t have to worry about this point. The caller is needed. When you play with the company of friends, someone needs to be the caller – the person who will announce letters and numbers. Caller can participate in game also. 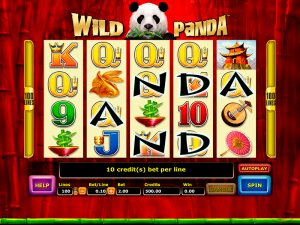 There is no caller in online casinos, the combinations are chosen automatically and are shown to everyone. Choose one or multiply card. It is definitely easier to play with one scorecard. So, for kids it is better to choose single card. But playing multiply cards increases the chances to win in the same game. What is bingo chip? Bingo chip is something that should be used to cover the numbers. They can be special chips that were bought with cards and balls, but coins, buttons or even poker chips can be also used. Be attentive. Playing multiply scorecards it is necessary to be very attentive. As soon as caller read letter-number combination, check if you have it in your cards. Cover it with bingo chip if you have the number. Be attentive as it will be more than unpleasant if appears you have it, but don’t cover. If you don’t have the number announced you don’t have to do anything. Check horizontal, vertical or diagonal lines. The game is continued until someone covers all number in one of those three lines – diagonal, vertical or horizontal. Shout it loud. As soon as you have the line covered should ‘Bingo!’ to inform the others you win. After that all the other players should take off the bingo chips and start the new game with the clear cards. Bingo is very easy, but interesting and fun game. It will become not only exciting pastime, but also can bring additional income if you play it in our casino. Join us! Start it!